High purity stainless steel tubing is widely used in various industries where high purity, high cleanliness, and high performance are critical required, such as semiconductor industry, sports, pharmaceuticals, laboratory engineering, high purity gas industry, and more. As one of the top quality China precision stainless steel tube manufacturers, Younglee produces and supplies high purity tubes in a wide range of metric sizes and imperial sizes. Our customers include many respected companies in China & oversea countries. We produce and supply high purity tubing in stainless steel of EN DIN steel grades and AISI /UNS steel grades. 316L high purity tubing is the most popular, also we produce other materials of high purity tubes on customer’s requests. The most popular size range of the high purity stainless steel tubing is between O.D 6 mm (1/4″) to O.D 50 mm (2″), and we can supply the high purity tubes with random length or fixed length 1 meter to 8 meters. We supply our high purity stainless tubing mainly in below surface finish upon customer’s request. The surface roughness of bright annealed stainless steel tube is between Ra 0.4μm to Ra 0.8μm upon customers’ request. Outside diameter polished and inside diameter polished. We can supply high purity stainless tubing with mechanical polished surface on outside diameter and inside diameter, with roughness Ra 0.6 μm to 0.8 μm. EP stainless steel tubes are mostly ultra high purity tubes. The roughness can be as good as Ra 0.25 μm or better. 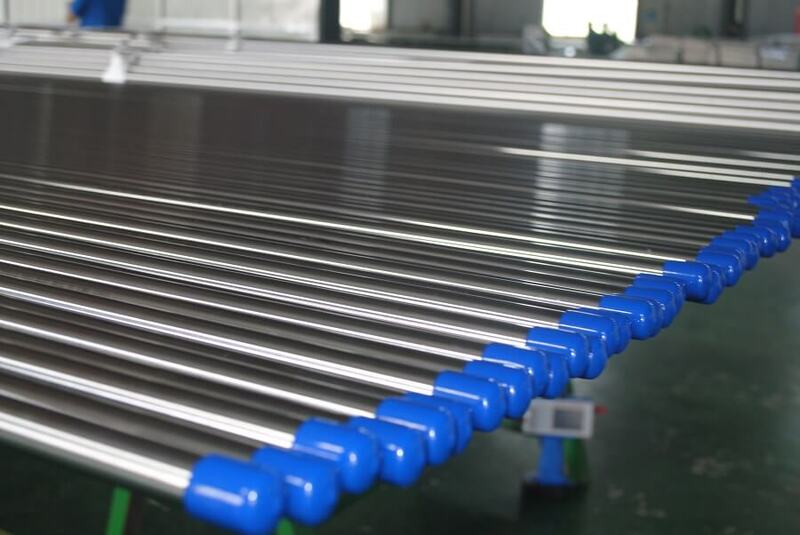 Younglee’s ultra high purity stainless steel tubing is mostly produced through specially rolled and bright annealed process, then with mechanical polishing or electro polishing depends on the application requirements. Normally the stainless steel tubes are ultrasonically cleaned and dried; and for ultra high purity stainless tubing, after ultrasonically cleaning, it will be washed, rinsed, purged with filtered hot Nitrogen and dried upon customer’s request or upon the application requirements. Our proprietary manufacturing and finishing processes ensure the specific Inside diameter and Outer diameter surface roughness Ra values for customers’s applications, greatly reducing the surface anomalies. For Mechanically Polished or Bright annealed (BA) high purity tubing, every tube will be marked with manufacturer name or brand, material steel grade, production standard, dimension (OD x WT x Length), and heat number. While for EP ultra high purity tubing, the above markings will be on the packing bags or with a label. For Mechanically polished tubing and BA high purity tubing, each end of tube is capped with plastic tube cap, and then every tube tube is packed individually in a single polyethylene bag; while for EP ultra high purity stainless steel tubing, each tube will be capped in the ends, and every tube will be packed in double polyethylene bags. One of the most important application of this product is that we use it as high purity gas tubing. And the series of this product is widely used in applications where high purity and high performance are required, such as below applications. We also can supply ultra high purity pipe fittings and valves upon customers requests. 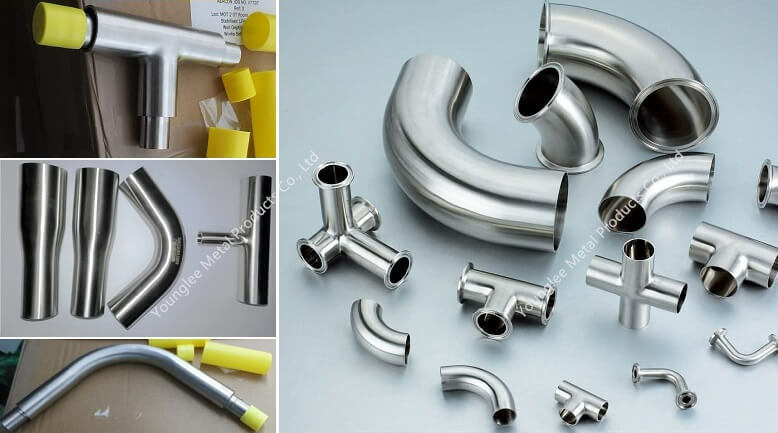 This product line including bright annealed, polished stainless steel elbows, polished tees, reducer tees, reducers, etc. Specifications: ASTM A270, BPE, 3A, etc. Materials available: 304 / 304L, 316 /316 L, 316 Ti, 2205 and more. Customers who are interested, please contact us for more details. What are the advantages of stainless steel tube heat exchangers and brass tube heat exchangers?